Item 2f Approach & carry Demonstrate endurance and strength for a distressed victim rescue: Starting in the water, approach 15 m head-up to contact a distressed victim in deep water; carry the victim 5 m supporting the victim’s head and shoulders above the surface. 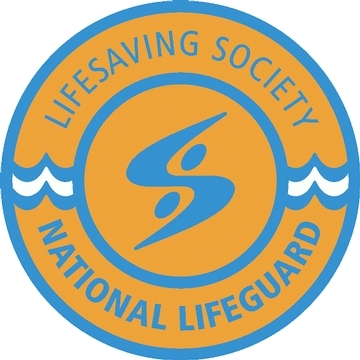 As a whistle and basic first aid kit are required for use and evaluated in NLS, they have both been included in the course cost and will be issued to each candidate on the first class along with the required text, the Alert Manual. Candidates will also receive a Lifeguard waist pack to carry their CPR mask and gloves. Please note: That the Standard First Aid-CPR C award must be issued by one of the following agencies: Lifesaving Society, Canadian Red Cross, St. John’s Ambulance or Canadian Ski Patrol. 100% attendance is required for successful completion of the course. 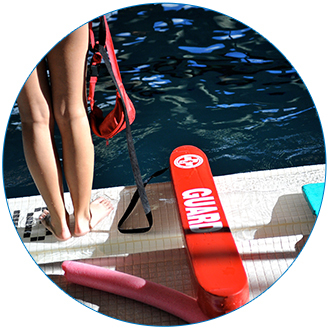 *The National Lifeguard at Camp Tamarack will run Sunday June 16, 2019 at 1:00pm-Thursday June 20, 2019 at 1:00pm. Convenienty located just outside of Bracebride, Muskoka, this course includes accomodation, meals/snacks, and course materials. The pool componets will be held at Bracebridge pool and candidates will travel to the pool site daily.